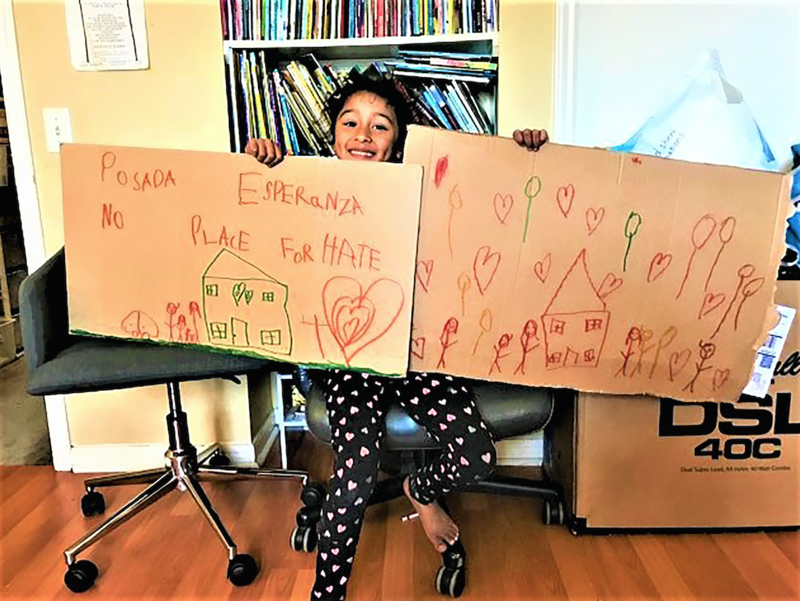 Today we wanted to share Posada Esperanza’s Program Director Report with you all. Patti McCabe is our wonderful Program Director at Posada Esperanza, and we are so thankful for the incredible care and hard work she puts into her job, along with our staff and volunteers at Posada. Posada was founded as a home for women and children fleeing cultural or domestic violence, and we continue to strive to be a safe haven for families in need. In January and February we received 13 new families! Some of these families were released by detention or Border Patrol with nowhere to go. Others were staying with friends or family who were abusive or who were forcing them to leave for inability to pay the rent. Three were women coming to us on their 18th birthdays as their time was finished at the center for unaccompanied pregnant or parenting teens. It was sweet to be with these young women and their babies in such tender moments of their life. We were able to connect them with family in other states who were able to provide them with housing and support. For our exiting families: two families moved into our transitional house on Montopolis, four families moved to friends or family out of state, and four families moved into private shared rentals in Austin. One of our families who has lived in our Montopolis transitional house for the last year just moved into St. Louise House’s supportive housing program. Some of the families who we have recently helped move from shelter into housing had many children with them. These families with 4, 5, and 7 children have now been housed and we continue to work with them on case management as it is our goal to see that they can remain in housing in spite of how difficult is to manage as a single, immigrant mom with a large family. So far so good! The 12 year old son of one of our Posada moms was in unaccompanied minor detention for two months while we worked with the mom to get her reunited with her son. Just last week they were reunited and now we are helping him get enrolled in school.